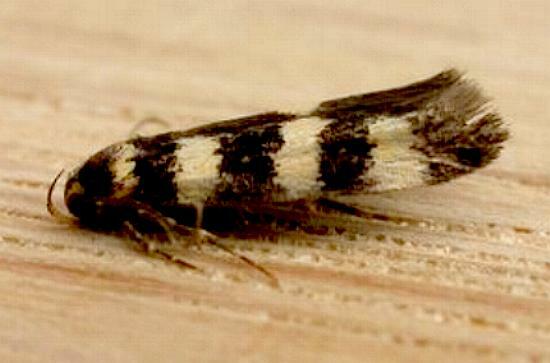 The adult moths of this species have black forewings, each with four broad pale yellow stripes. The hindwings are each pale yellow with a dark mark at the wingtip. The wingspan is about 2.5 cms. CSIRO Publishing, 2000, pp. 313, 325-326, 328. Volume 20 (1896), p. 165.